Another #guitarsenal segment from episode 35. 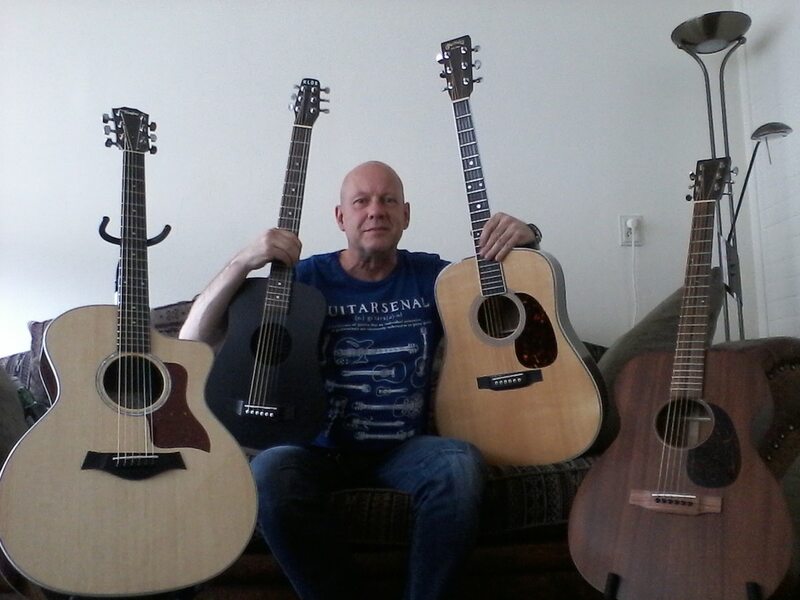 Martin HD 35,Taylor ce se cf DLX,Martin 0015 M and travel bud Klos. Except for the Klos I bought all my guitars at TFOA. The Fellowship Of Acoustics. This is one of the greatest guitar shops in Europe. Holding a 2001 Santa Cruz OMPW, then a PRS McCarty, a B&G Little Sister with humbuckers, a 2017 Martin D-28, and an Ibanez Bass, on the sofa is a 1999 Martin OM-28V sunburst, next is a 1979 Goya (from my Uncle’s music store in Lafayette Ind. and was built when Martin Guitars owned the brand…exceptional guitar and because of the family history, my favorite, and an old Kay…hey, the kids used to bang on it years ago. 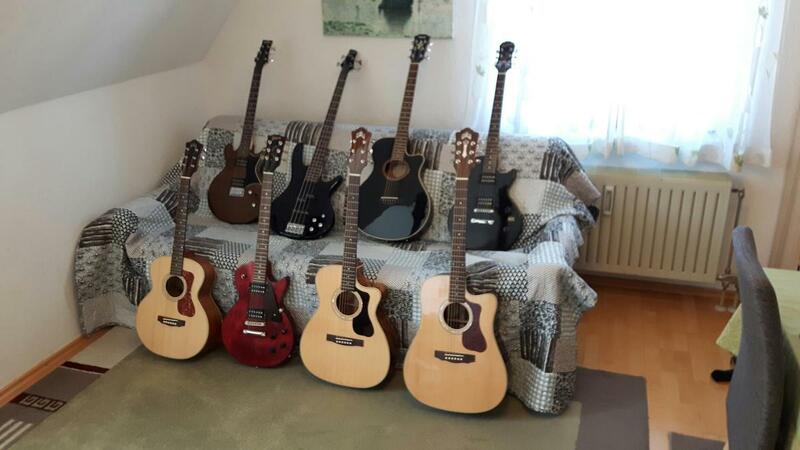 Top row Ibanez Gax30, Ibanez GSR200BK, Yamaha APX 4, Epiphone Les Paul special I I. 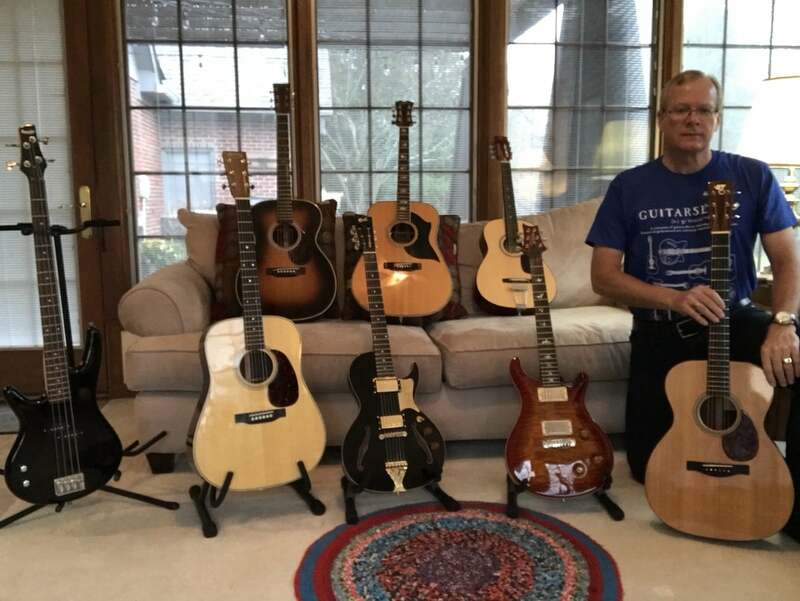 Bottom Row: Guild Jumbo junior, Gibson Les Paul Faded 2016, Guild F-130ce, Guild D-150ce. Have some more in Italy at my parents place. 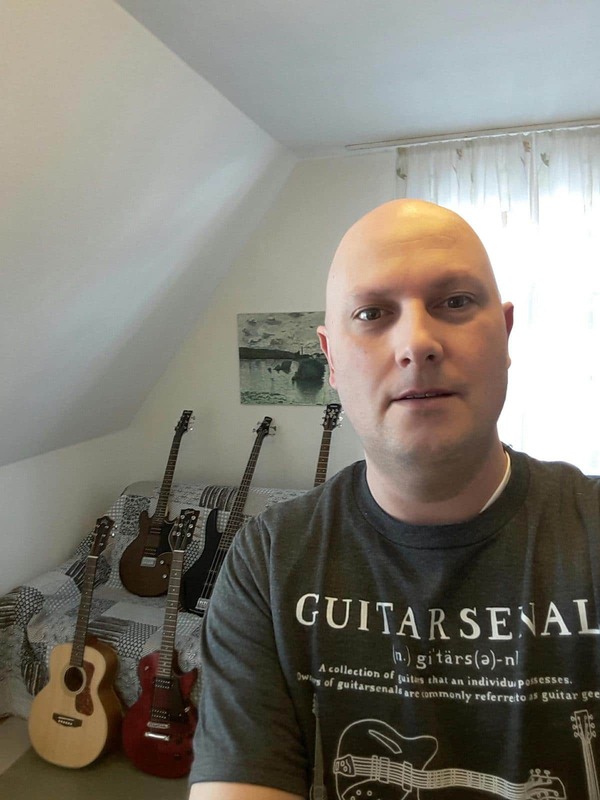 #small win: I think I am the first Italian living in Germany who got the T-shirt..